Looks pretty great. Though I can't help but remember that one of Tom Clancy's best sellers was about what a bad idea it was to send a small special ops unit into south America to do exactly what this trailer is depicting. Kinda Clear and Present Danger was about a unit like this getting left behind when a mission goes bad by the President and his cronies. If there's a mission called Operation SHOWBOAT I will be so happy. I wonder how many cell towers there are for you to fly your drone up to "recon" the area. This game makes me feel uncomfortable in ways I can't even begin to describe because of the people I knew who have killed/maimed/been maimed/died/displaced/etc in the drug wars they are making entertainment out of. I think it looks awesome, but I hope people keep in mind that this game is entertainment built on 106k bodies and 1.6m displaced and those are just the numbers from Mexico. Imagine how many souls are gone because of this from the other 20 countries and 13 dependencies involved. Maybe it's because my family was displaced by the war on drugs, or that my home is stuck in this vicious cycle of drugs and poverty, or my first memories are of drug related violence, but this is the first game in my 20+ years of gaming that really, really bothers me and elicits such a strong response. Read this and just keep it in mind when you're having fun. I'm wondering why so many Ubisoft games seem to be going towards their one game model. GR is like FC3 is like AC, etc. I guess it sells, but what do vehicles, team takedowns (from Splinter Cell first, afaik, maybe they were in future soldier), and different modes of attack have to do with the core of the series? That has always been small team tactics on large maps. This looks like little action vignettes on small maps. We've ended up with two threads for this (I went on a thread creating binge.) I don't mind which one we stick with. I did a search before i created this one and nothing came up. mind either way. That's happened to me before now. We'll go with yours as it's a tad more established. Here is a Just Played from Game trailers. I am excited about this. Been waiting for a coop-centric game like this again. I spent 100s of hours playing the original Ghost Recon with a few friends, probably some of the most fun, I had in multiplayer back then. Every time I hear about this game I get a little twitch in my eye. I've been to Bolivia and have some very close friends there. I'm curious about how they will treat the geography (it's one of the most beautiful places I've ever seen) and people but I don't think I'll ever be able to buy it. Looks like it has a lot of potential. Did anyone else interpret some of that to mean they might actually extend the Shadow of Mordor mechanic to this game? That could be interesting! I'd assume he's talking about the nemesis system. Which would fit pretty perfectly with a game like this. It's looking fantastic. Ghost Recon is one of my all time favourite series. 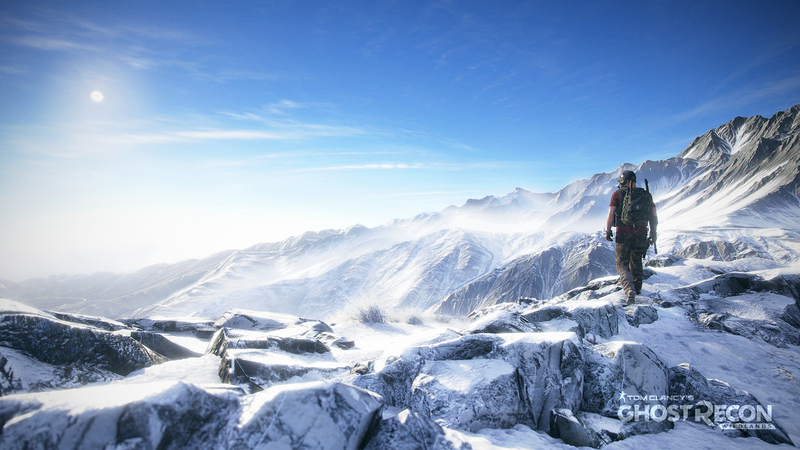 Wildlands is looking like it has the chance to be a proper fresh start for the series. Shame we didn't get any new footage. Amazing. This game is looking incredibly solid. It's very close to the top of my most anticipated games list. I'm much more excited for this game than I was for Rainbow Six: Siege. Can't wait for it to come out. I'm really looking forward to this. Have they went into any detail about the multiplayer/co-op side of it and I maybe missed it? Not much at all... that's the first thing in about 5 months that they've released on the game. I'm sure they'll go over it in more detail during the ubisoft press conference next month(e3). Looking forward to this one as well! Looks great! The Deluxe Edition: Available at GAME, contains the Standard Edition and the digital Deluxe Pack, which includes: the Huntsman rifle and motorbike, 3 emblems, 3 weapon camos, 3 character customisation items, and an XP booster. 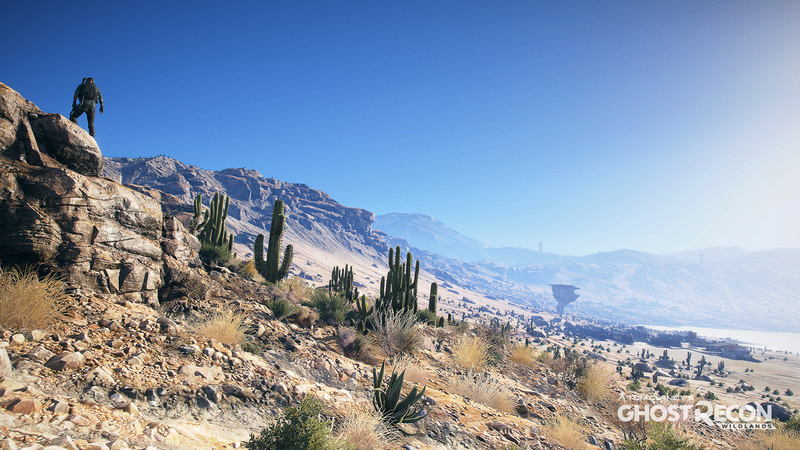 The physical version of The Deluxe Edition will also include 2 extra physical items: an in-game map of Bolivia and the original soundtrack of the game. The Gold Edition: Available at Amazon, includes the Season Pass, giving players access to two major expansions, as well as exclusive digital content such as equipment packs, an exclusive vehicle, epic weapons, and the digital Deluxe Pack. The Calavera Collector’s Case: Exclusive to the Uplay Shop, includes all the equipment needed to operate as a Ghost deep inside the Bolivian wildlands to take down the vicious Santa Blanca cartel. This includes the Gold Edition alongside the Ghost’s Audio Headset replica, a fully functional headset for PlayStation 4, Xbox One and PC. Last but not least, the Collector’s Case also contains a Santa Blanca Cartel Skull, an in-game map of Bolivia, the original soundtrack of the game, a Bolivian carrying pouch, and 3 postcards of Bolivia. A look at the The Calavera Collector’s Case is below followed by the Deluxe and Gold editions, respectively.